It is understood a grey Holden was travelling between 160kmh and 170kmh shortly before crashing into a truck on the Pacific Highway, north of Oxley Highway, after a 10-minute chase which began at 11.20am. A NSW Ambulance spokesman said two people were taken from the crash scene in the suburb of Fernbank Creek to Port Macquarie Hospital complaining of neck pain, but the injuries were not considered serious. 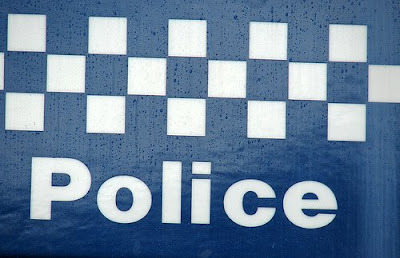 A Port Macquarie police spokeswoman said two people had been arrested after the pursuit, which began on the Pacific Highway. She was unaware of what prompted officers to give chase, but "the vehicle was circulated as one to keep an eye out for". Police today revealed why thousands were stuck for more than four hours in a Sydney traffic jam yesterday while a shot was fired during a chase. It was all part of Operation Avert, a major three-day police action that led to 460 arrests, including more than 200 foroutstanding warrants and 55 for breach of bail. Some 640 charges were laid.